Implant-Supported Dentures In Ealing, London | 0% Finance Available! 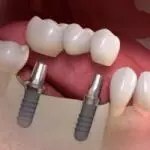 WHAT ARE THE BENEFITS OF IMPLANT SUPPORTED DENTURES ? Filled out facial contours to reverse the pace of bone and face shrinkage. 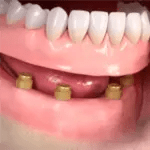 Dentures fixed in place that look and function just like real teeth. If you wear dentures and are thinking about trying implant supported dentures, here’s the truth about the disadvantages of dentures. We wish it weren’t so, but when people with missing teeth choose removable dentures, conditions don’t stay the same. No matter how well a denture is made, the day arrives when the jaw has lost too much bone structure to provide a good fit. Dentures get loose and no amount of adhesive can correct it. As a result, people have a hard time living with a denture that is uncomfortable and undependable. Every day, there are more and more foods that are hard to chew. People, who are unable to eat properly, often develop nutritional deficiencies from an inadequate or unhealthy diet. Our social life and self-esteem suffer. Being unable to chew properly makes it difficult to be around family and friends since so much of what we do revolves around meals. That’s why our goal is to guide patients toward dental implants before they reach this point where the negative outweighs the positive. With implant supported dentures, you get the sturdiness and beauty of implants but the flexibility of dentures, where your teeth can be removed as needed for cleaning and maintenance. The dentist at SSS Clinic in Ealing, London are proud to offer this brilliant procedure, which has provided outstanding results for countless patients. 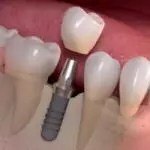 If you’re tired of the adhesive and paste from regular dentures but don’t want to commit yourself to dental implants, implant supported dentures are probably perfect for you. Contact SSS Clinic in Ealing London today to schedule your consultation to learn more.